In order to expand the Japanese Dance Music market, we have conducted an interview with people from the very top labels, booking agencies and DJ/Producers, asking how they see and observe Japan as an expanding market. 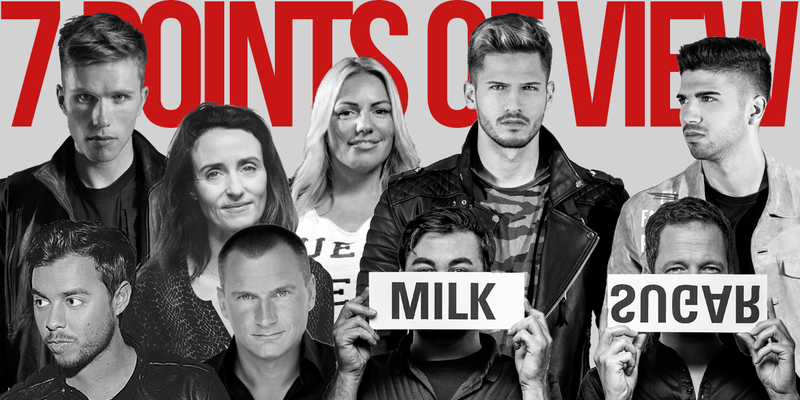 Anna Knaup, is the founder and CEO of one of the biggest booking agencies, Anna Agency as well as Sorted Management and just like Spinnin’ Records’ Eelko, she is another famous business person behind all these DJ/Producer beauties. Since establishing Anna Agency in 1995, she and her company has evolved so much that they have connections literally everywhere around the globe and can manage a booking anytime. Not to mention that she has also founded Sorted Management and supports talents with their career plans other than constantly making releases. For an individual who is usually behind the scene of all glamour, her comments would be vital when putting more time and effort than ever trying to expand the market. Q1. What is your impression of Japanese Dance Music scene? Do you know anything in particular? Japan has a long history in electronic music. From Satoshi Tomiie to Yoji Biomehanika, Japan has given the world some very talented artists. Whilst to the international touring DJ’s Japan has been a very popular destination on their touring calendar. With my agency Anna Agency, we have been booking DJ’s into the country since the late nineties. Q2. In order for Japanese market to expand bigger and catch up with European and North/South American market, what are the necessary/crucial factors? I don’t feel the Japanese market needs to focus on catching up with Europe or the Americas. The country has a unique and wonderful scene. It is something to be very proud of and I know many DJ’s love to come and perform in the country. Developing what you have and being an attractive destination for artists to come and perform, whilst nurturing your own talent, is where you maybe should focus. Hosting more festivals and club nights is one step towards expanding and encouraging even more artists to perform in the country. Q3. How do you predict the future of world’s Dance Music scene evolving and what would be the best option for Japan to cope with rapidly changing situations? Well streaming has finally taken over. It’s great to see its dominance beyond just electronic music with it now being a big factor in all other genres because streaming has been a part of dance music for many years. So I’m excited to see how we can use this platform to continue the global growth of electronic music. Also we’re blessed with some of the best shows the music business has ever seen. Japan could be one of the countries who could bring about further exciting innovation in this area, this is something I would like to see. Q4. Is there anything you know about Japanese clubs? If so, would you mind mentioning a few positive points and some advices for the future? My experience of events in Japan have always been great. I love the energy the Japanese crowds have for electronic music. The Japanese promoters are one of the best if it comes to being on point with their production. Womb in Tokyo is world famous for its atmosphere and it really good to see how Ultra Music Festival is becoming an established festival on the calendars. Q5. For Japanese DJs to be more active in the world’s Dance Music scene, what do you think is the key factor? Music and ability. Those are crucial. Support from the Japanese scene to start with will help set them in the right direction and collaborating with international dj’s will help too. Q6. In order to create a major booking agency in Japan, what would be the necessary/essential factor? It first starts with talent. No agency will survive unless they have good talent. Once you have this you need an infrastructure. You need passionate, knowledgeable and loyal staff and you need to build your business around the correct ethics. 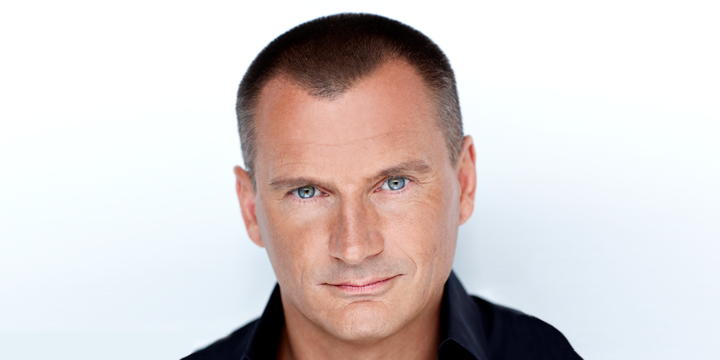 Eelko Van Kooten is definitely one of the very known business person in the scene supporting all these glamourous DJ/Producers and he, along with A&R specialist Roger de Graaf established the world famous “Spinnin’ Records” in 1999. Since its establishment, Spinnin’ Records continues to expand their business and now own 18 sub labels and is highly respected amongst many. The 21st Century Electronic Dance Music scene would have been very different without the contribution of Eelko and his team because it’s clear that over half of the tracks that created a huge buzz in the scene is released from this label. An individual whose name was raised in Rolling Stone’s “50 Most Important People in EDM” and was awarded with “Best Music Label Executive (IDMA)” has a say in Japanese Dance Music scene. The dance music scene in Japan used to be very EDM orientated but is now starting to evolve into more trap, future bass and mainstream dance with hits from well-known names like The Chainsmokers similar to the rest of the world. The scene is opening up, and I believe we can contribute to this with lots of exciting new artists and music. Q2. For the Japanese market to grow and to catch up with European and North/South American market, what are the necessary/crucial factors? To get more local support through festivals and radio airplay. Dance is more than just a music genre, it's a global lifestyle without territorial restrictions. I would advise to look beyond your own market and investigate other territories to see what’s going on, learn from that and adjust it to the local market. Personally, I have never been in Japan so I could not tell. But I would love to come over sometime and discover the Japanese dance music scene! A DJ’s profile is built around music, social media and live performances. If (Japanese) DJ’s aspire an international career, that should be their focus points. As a booking agency you need to offer high quality services for DJ’s. The right network is necessary to get records played in the right clubs and on the right festivals – enabling DJ’s to work on their live profile and fan base. 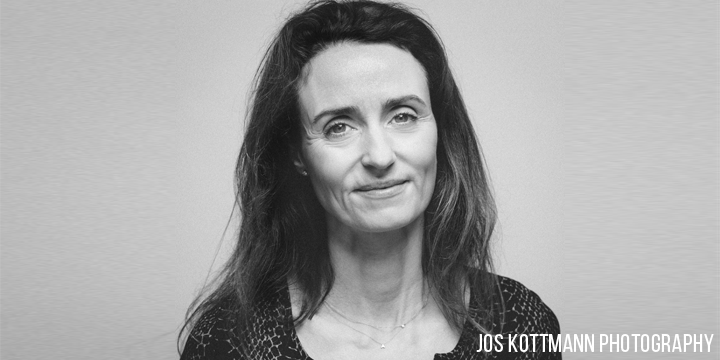 Ace Agency is another very top booking agency in the scene that supports world class DJ/Producers such as Martin Garrix, Afrojack, NERVO, Quintino, Yellow Claw, Sidney Samson, Angger Dimas, Bassjackers and many others and we appreciate the CEO, Jasja Heijboer taking time in her busy schedule to answer the interview examining the Japanese Dance Music scene. Since its establishment in 2007, 2017 is their 10th anniversary and they now are influencing the scene so much that we cannot imagine the scene without its existence. Let’s hear what the CEO of top booking agency thinks of the growing Japanese Dance Music scene. When Afrojack introduced me to his Japanese management company LDH I learned how intricate and unique the Japanese Music industry is. Few places in the world have such a well-developed local dance music scene while also being up-coming on the global market. This definitely gives Japan an edge over other upcoming markets. All our Ace artists always love to go to Japan and see their fans. There is a lot of dedication and love coming from the fans and Japan always makes them feel right at home. The most crucial factor is the audience. Their experience and satisfaction is what will drive the market upwards and outwards. There has to be a solid local base from which global recognition is built. This is definitely one of Japans strengths as the local club scene is alive and growing with both local and international acts. Realising what makes the Japanese dance industry different and using this to create unique and lasting experiences is what will make the market stand out on a more global scale. Asia is the fastest growing market at this moment. Every continent and country will start looking more and more inwards and start fusing local talent with international acts to create unique music and events tailored for the local population. As dance music becomes more international & local at the same time Japan is in a strong position as there is already a very strong local market in the dance music. Once the market has reached its full potential, that’s the moment for the local talents to come forward. The hospitality is always on a very high level. The atmosphere is welcoming and generally very polite which makes the artists feel comfortable and allows them to deliver their best performance. The crowds are very energetic and dedicated which is why Japan is so loved amongst DJ’s. Some clubs even have Karaoke areas which is pretty amazing! Staying true to your cultural heritage while being open minded to outside influences which will give you an edge when using this to create fresh new sounds. As long as you stay true to yourself you can adapt to any market you want. Be original! It all starts with the Artists. Without local talents their is no business. Essential factors are; personal attention for your artist, allround bookings management, well trained and passionate personnel, a strong strategy, quality over quantity and long term vision. 2017 is Milk & Sugar’s 20th anniversary and they are going to be celebrating it with a new album release for all of their fans to enjoy. 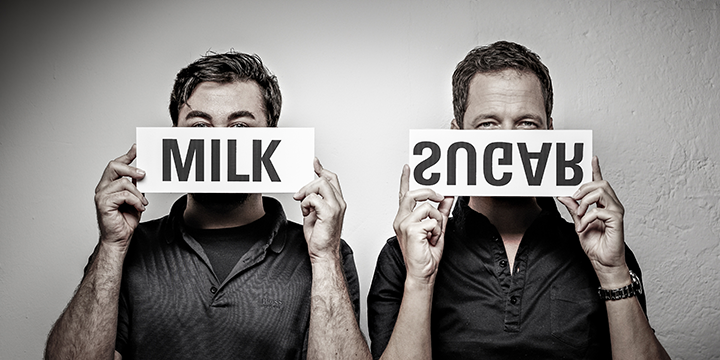 Milk & Sugar is an iconic House DJ/Producer duo who has seen the industry grow extremely in the past years. “We can’t believe we’ve been doing this for 20 years. It only feels like we started yesterday.” During the interview, they also mentioned to us that 2017 awaits a bigger release than their “Higher & Higher”, which got them deep into the scene. The experienced duo examined the Japanese scene based on their experiences and what they have learnt in 20 their years being in this extraordinary music scene. Steven ‘Sugar’ Harding: We´ve been in transit a couple of times on our way to Russia or Korea, but we´ve never experienced the local scene in particular. Most people over here in Germany would probably suggest that Japanese music sounds like what you hear in Anime films, but we are convinced that this is not the case. Mike ‘Milk’ K.: The electronic music scene in central Europe has expanded heavily over the past 20-30 years, and nowadays we see a big variety and demand for music of all genres and sub-genres. Theoretically, there is a niche for every kind of music. It might just take a little bit of time for other markets to get from electronic mainstream to a wide field of non-commercial dance music. Steven: Nobody can look into the future, but last year saw a heavy drop for commercial EDM music DJs like Avicii or David Guetta. They are still selling music, but for our ear they produce pop and not dance. I would love to see a healthy number of smaller festivals around the globe instead of monster commercial festivals like Tomorrowland or Ultra Music. We should also give young and uprising talents the chance to play live and help them gather their crowd. Mike: Unfortunately, we don´t really know a lot about Japanese clubs. But we played a couple of tours in Asia (Singapore, Indonesia, Korea, Thailand, China), that was big fun and we loved the crowd. What we know from our day off when we visited Tokyo, was very promising and we would love to tour this country. Steven: Probably the same key factors like for every artist around the world: Developing unique skills, creating something special and trying to find followers on the social media channels as well as playing live as much as possible. We think it is also essential to produce music. Mike: Probably good international connections to artists and partnering up with agencies who already have a big roster. We used to hang around at all major music fairs and conventions like the Miami Music Week, the Ibiza IMS or the Amsterdam Dance Event for years. We heard that there is also an annual IMS Asian-Pacific summit where you can do excellent networking and catch up with the big players of the electronic music scene. We´d give it a try. 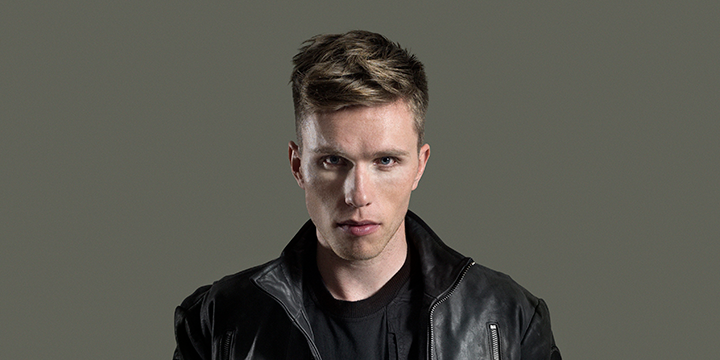 Nicky Romero has been supported by the very top players in the scene since his debut such as the Dutch Legends Tiesto, Fedde Le Grand, Sander Van Doorn or David Guetta, Calvin Harris, Avicii and many more, which helped him get to the position he is now in 2017. In 2012, he released “Toulouse”, which boosted him into the industry and created an exceptional image of himself. Nicky Romero is consecutively highly ranked in DJ MAG TOP 100 DJs and is also the founder of Protocol Recordings, which puts extra emphasis on developing young talents as well as regularly hosting events and radio shows other than releasing tracks from the label itself. Such an individual who is a superstar DJ/Producer but also has a face of a founder of Protocol Recordings talked to us about how he sees the Japanese market. Japan is one of the most important upcoming markets for our sound. I must admit I do not know everything but I do see it’s growing bigger everyday. We got a lot more streams, clicks and response from Japan. I’m not sure if you want to catch up, because every market grows in its own way. But it will help if homegrown artists will get more recognition and dance music gets more airplay on radio and in other media. That’s very hard for me to answer. Of course our industry is changing and many artists including me are exploring different angles but we will still need to produce music to rock a club or festival. So the Japanese fans have a big say in it as well. We should listen to them to find the best solution. People always ask me to name the best club or festival but that’s very hard. I really like to perform and if my fans have a great time so do I. Japan has been so good to me these past years and I am very grateful to my Japanese fans. Wherever I perform in Japan they make me so welcome that the atmosphere in every Japanese club is a mind blowing experience for me. Work hard in making something unique. Create your own signature sound. And never give up. I also had to be persistent to make it where I am today. Japan also has a lot of talent so I’m sure many will be prominent in the future. 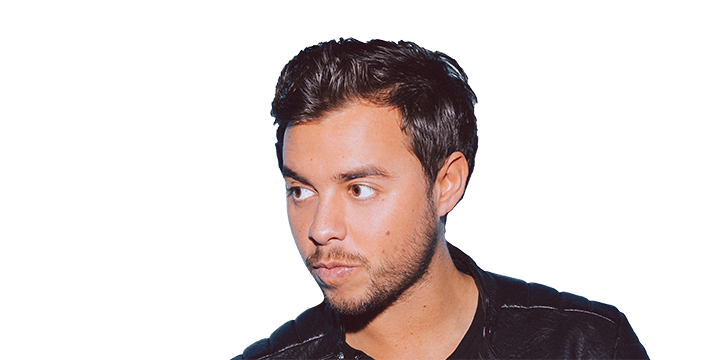 Quintino adds on to another great Dutch talent in the market who started DJing at the age of 18 and in 2016 was ranked 32nd on DJ MAG TOP 100 DJs. He specialises in producing Dutch Dance Music to the world and since signing with Spinnin’ Records in 2013, he has stepped up his game and was announced as the residence at Drai’s, Las Vegas. He is another DJ/Producer who performed an insane show at Cat’s Fukuoka last year and he said to us “Can I come back next month?” showing his love and excitement towards Japanese fans. Let’s see how the top DJ/Producer Quinitino is observing the Japanese market from his eyes. I think the Japanese EDM market is doing really well! I love the big festivals like Music Circus & Electrox. Also I played a lot of clubs in Japan last year and the energy and dedication of the fans is incredible. Personally I don’t consider Japan needs to catch up, the festival I've been to have a very high quality and can compete with most European festivals. I do think music wise electronic music still has a lot of room to grow, but I see many Japanese fans all around the world coming to my shows and listening to my music. Music always changes and evolves. DJ's, Clubs, Festivals will have to change with it. As someone in the middle of the scene I always just monitor the trends, see what music is doing well, and what people want to listen to in the clubs, at home or at festivals. And from there I change and adapt my music or live sets. I've played in various clubs in Japan, V2 Tokyo, Kitsune Kyoto & Cats Fukuoka. I really like the clubs, because the crowd is really bringing a lot of energy. Sometimes in clubs people just come to drink, but in Japan people really want to rave. Music!! Making good music aiming at the international stage is def. the key. If your music gets picked up by other DJs or radio, promoters will find you. VINAI brothers must have felt the energetic crowd last year at Cat’s Fukuoka. 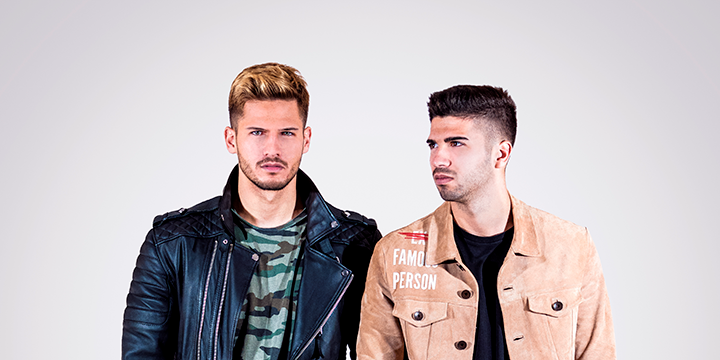 Alessandro Vinai and Andrea Vinai, a true brothers make up this Italian duo “VINAI” that has created a super branding that their families must be proud of. They official debuted with the release of “Take Me Away” and in 2013, they signed to Time Records getting deeper into the scene. Since their debut, they have grown rapidly and it didn’t take long for them to be ranked into the DJ MAG TOP 100 DJs and now ranked 37th. Since their last visit at Fukuoka, they sent us a DJ MAG JAPAN EXCLUSIVE MIX, which they were thrilled to produce for their Japanese fans. Such Italian duo with respect and kind heart have looked into the Japanese scene and how VINAI themselves can help to expand the market. In the last 2/3 year we saw your scene it has grown so much, this means that you are working on the right way. Q2. In order for Japanese market to expand bigger and catch up with European and North/South American market, what are the necessary/ crucial factors? Honestly we don’t think that Japanese market is far from our situation. It is just different due to your culture (which is different from our) and of course you need to keep in mind that our market is older, so everything here looks old and already seen. Our tip is to continue to promote, support and trust the Electronic/Dance Music/ Scene because we can give you more and more. Then, as we always say, you need to be concentrated to create something that can allow people to live more experiences, because is what they need. You can't predict but we think that you can make the future better than this making good music, traveling around the world, exchanging ideas with different people from different countries/culture ... that’s the way! For example, as we are doing now ... we are exchanging ideas and feelings. This is hard to say, club scene is a strong movement and to know it so thoroughly you need to live it day by day and in all his shades ... not just when you are there as a guests. Future tips ... keep on dancing and support the club culture! Here no trick, just continue to improve yourself studying, listening, traveling, making connections and surround yourself with those on the same mission as you. A good know-how on the music industry, keep updated on all trends and on what’s going on around the globe, support real artists and an extreme love for music! Making music, do not gossip! Music always comes first, then there are frippery that can make HER more charming. COPYRIGHTS (C) DJ MAG INC. ALL RIGHTS RESERVED.